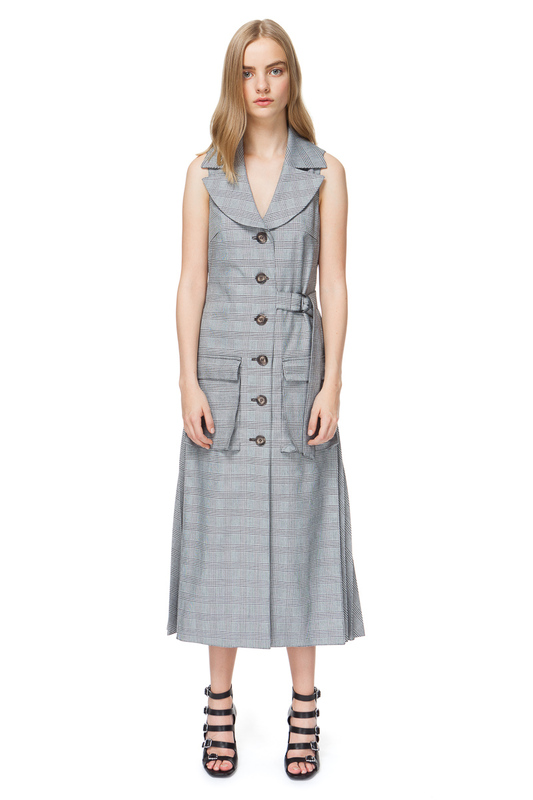 Sleeveless coat in grey check with pleated details and two oversized patch pockets. 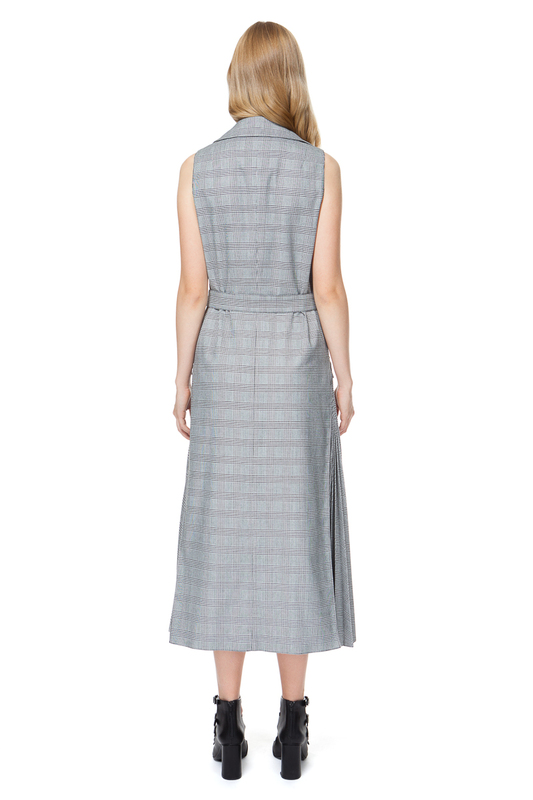 A unique piece that could be worn as a dress or a waistcoat, it adds an elegant yet interesting approach to your everyday dressing. Layer it over a Luisa blouse in check for a monochromatic look or wear unbuttoned on top of your jacket to create an outstanding street style outfit.